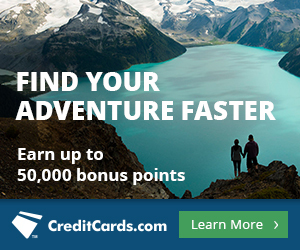 The Citi® / AAdvantage® Executive World Elite™ MasterCard® 60,000 mile offer has expired. 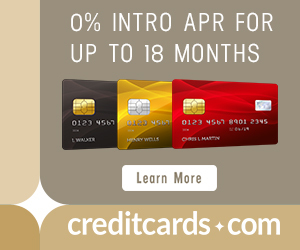 Check out the current best credit card offers here. Let’s talk about how to use American Airlines miles for awards to East and Southeast Asia. Business and First Class awards from the United States to Japan and Korea, in terms of duration and partner product (Japan Airlines), have the best value on the new American Airlines award chart. Asia 1 is Korea and Japan. As I noted in the post on American Airlines award routing rules, awards to Asia 1 and Asia 2 must fly directly from North America to East Asia. They cannot transit Europe, the Middle East, India, or any other continent. That means I’ll focus just on airlines with direct flights to East Asia and within East Asia. Award space on American Airlines and Hawaiian Airlines is searchable on aa.com. Here’s how to search aa.com. Award space on Cathay Pacific, Malaysia Airlines, Japan Airlines, and SriLankan Airlines is searchable on ba.com. Here’s how to search ba.com. Cathay Pacific First Class is one of the nicest First Class products in the world (read my review). Prior to their devaluation, American’s under-pricing of awards to Southeast Asia relative to its competitors was one of the main reasons that American miles were the best miles to Southeast Asia. Now I recommend using Alaska or Etihad miles instead if you have them (SPG and ThankYou Points both transfer 1:1 to Etihad Airways), because you can book awards to Asia with either of those miles at the same prices American had pre-devaluation. To be clear, you can only use Alaska and Etihad miles to book American Airlines flights at those pre-devaluation prices– different prices apply to fly different carriers, like Cathay Pacific for example. However, United and Delta charge 65k to 80k miles one way in Business Class and 80k to 120k in First Class to Japan and Korea, so American awards to those areas are still cheaper than the main competitors’. To book an American Airlines award to Asia that features only American Airlines and Hawaiian Airlines flights, you can book right on aa.com. If you want to include even a single segment on Cathay Pacific, Japan Airlines, Malaysia Airlines, or SriLankan Airlines, you need to call American Airlines at 800-882-8880 to book. There is no phone fee to book awards that can’t be booked online. I recommend searching award space on ba.com before calling and feeding the agent the date, cabin, and flight number of each flight with award space instead of relying on the agent’s searching skill. To Asia 1 (Korea and Japan), the possible routes are on Japan Airlines, American Airlines, and Hawaiian Airlines. The American Airlines flights to Asia 1 have good economy award space, especially during the off peak window. Business and First Class space is generally not great, unless you can book ahead of time. I see plenty of First Class space and some Business Class space on the Los Angeles to Tokyo route in 2017. The Japan Airlines flights show more Business Class than First Class award space. The best route is probably San Francisco to Tokyo-Haneda, which has award space two days in First Class next week (each day with one seat), and one day in Business Class (with four seats). I found award space on every route I searched, though, so with flexibility, you can fly Japan Airlines Business Class or First Class with American Airlines miles. To Asia 2, you can route via Asia 1. That means you can fly any of the transpacific flights above and connect on intra-Asia flights to Southeast Asia. Or you can fly directly to Asia 2 on American, Hawaiian, and Cathay Pacific. I’m going to focus on Cathay Pacific’s award space patterns because it has one of the nicest Business and First Class products in the world and the most consistent award space. Cathay Pacific has eight current North American destinations. All routes offer First Class except Newark and Toronto, which top out at Business Class. Over the seven day period I searched (May 6-12, 2017), there were Business and First Class award seats open every day on at least one route (with space on every route many of the days). Many days had multiple flights with up to 5 Business Class seats and 1 First Class seat. To get Cathay Pacific Business Class award space, try to book 11 months in advance. Space gets worse from that point, though it does reappear in large quanitities the last week before departure. Some Cathay Pacific First Class award space is available throughout the schedule but not a ton. Within a week of departure though, Cathay Pacific releases up to nine Business Class and two First Class award seats per flight. Here is a flight from Los Angeles to Hong Kong on Tuesday, June 21. The far right column shows that the flight has 2 First Class seats available. Here are tomorrow’s flights from New York to Hong Kong with 2, 0, 0, 0 and 0 First Class award seats and 0, 3, 4, 5, and 5 Business Class award seats respectively. If you can wait until the last week, your chance of booking Cathay Pacific’s mind-boggling First Class is very good, and if you can’t, you can probably book Business. Review of Cathay Pacific First Class. Just because you want Cathay Pacific First Class doesn’t mean you want the stress of not having any flights booked until 48 hours before departure. That’s not what I’m recommending. American Airlines does not charge a change fee to “upgrade” an award reservation, so a great strategy is to book two Business Class seats on Cathay Pacific when the schedule opens and then change the award to First Class in the last two days. This would cost 70,000 miles each way per person when first booked and 40,000 more miles per person at the time of the change. And if the plan fails, your consolation prize is Cathay Pacific Business Class–hardly a loss. Cathay Pacific and its affiliate Dragonair–both bookable with AA miles, both searchable on ba.com–offer excellent award space from Hong Kong throughout China and Southeast Asia. American Airlines miles are the strongest miles to Japan and Korea out of the three American legacy carriers. Also, American partners with very nice products on Cathay Pacific and Japan Airlines. Cathay Pacific premium cabin award space, which is useful to China and Southeast Asia, is widely available 11 months out and within a week of departure. Japan Airlines Business Class award space is available on all its routes if you have date flexibility. American’s own flights have good economy award space, but Business and First Class are spotty unless you can book far ahead of time or within a few days of departure. To fly to Asia 1 (Japan, Korea, Mongolia) on a single award, you must fly directly there from North America without connecting in any other region. To fly to Asia 2 (China and Southeast Asia) on a single award, you must fly directly there or connect in Asia 1. You cannot connect in Europe or the Middle East on a single American Airlines award to East or Southeast Asia from the United States. For a limited time, the Citi® / AAdvantage® Executive World Elite™ MasterCard® is offering 60,000 bonus American Airlines miles and Admirals Club lounge membership, among other awesome benefits, after spending $5,000 in the first three months. By meeting the $5,000 total spending requirement you’ll earn at least 65,000 American Airlines miles, which is enough for a roundtrip ticket to Japan or Korea during Off Peak dates! Hi Scott, great post and impeccable timing. I’m planning a trip to BKK just after xmas in Business Class on CX from LAX to BKK via HKG. Booking 331 days prior is this Friday/Saturday so I’ve been planning and getting everything ready. I’ve checked on BA and it shows me 5 business seats available, but you say that CX normally only releases 2 business seats. Does that mean that only 2 of those 5 are bookable, or are all 5 fair game? Thanks for the info. All five should be bookable. thank you for great sharing. I’m looking for AA award ticket from Tampa, Florida to Saigon, Vietnam, but I never find any available seat on aa.com. It says no flight available and suggests me to call agent. Do you have any advise in this situation? I would like to apply for AA miles credit cards but since I have not successfully searching award seat, so I’m so skeptical to go for it. If trying to get a first class seat 3 days before or less, you would have to pay the $75 close-in booking fee, but if you had a business class seat reserved, and upgraded, you would just have to pay the additional 12,500 miles? Does this free upgrade also work with economy seats, if they are the only ones available? Thanks. Yes, you avoid the fee as long as you move up at least one category: economy to business, economy to first or business to first. Also remember that with AA you can change dates and routing without paying any fees as long as your origin and destination remain the same. Hope this helps! What I mean by free, concerns just the money. I know you would have to pay additional miles from economy to first…. Solely got the Citi AA card and US airways card because you suggested in a few months back. Now these articles are helping an immense amount. Can’t tell you how much I appreciate this series of posts. Thanks! I heard BA site shows a lot of phantom award space for Cathay Pacific. Do you have any such experience? Also besides AA, can we use BA avios or US airways dividened miles for award travel on dragon air? I haven’t really had a problem, but some people prefer searching on the JAL site for that reason. Yes, Dragonair is a member of oneworld and is bookable with Avios and US Airways. Scott, what’s your strategy for booking three tickets in Business or First on CX? Do you ever see a third seat open up in those cabins directly after booking the two that are usually available? Sometimes three are released 11 months out. Sometimes 2 biz and 1 first. Sometimes 3 first are available day of departure. Or book 2 now and 1 economy and look to change the economy ticket. is AA in this example sensible or wasteful? Sensible if you want to fly that award. It is tough to get to South Africa without BA surcharges. You’ll need to fly Qatar there. Doesn’t ANA fly direct from IAD to Tokyo ? Can I use AA to book that route for award ticket ? ANA is part of Star Alliance–a United partner. What is the off peak season to Japan? Thanks. To fly to Asia 2 (China and Southeast Asia) on a single award from US, you must fly directly there or connect in Asia 1. Let say from NY to HK via Tokyo, can I stay in Tokyo for a few days then fly to HK as the final destination and redeem this as single award? No. Read the linked post on award routing rules. No stopovers over 24 hours. I want to book flight from Beijing to Chicago. i want to use Cathay pacific, which I want is from Beijing to hong kong and Hong Kong to Chicago. . But the BA .com doesn’t show the flight in this way, it gave other options that I have to transfer either in London or doha from other airlines. Just wondering whether I can book stopover at hong kong? You can fly that route with AA miles, but the maximum layover in Hong Kong is 24 hours. It sounds like there is no availability on your dates. Hi thanks for your quick reply. My date is flexible. What confused me is whether I can stop in Asia 2 zone. 24 hous is enough for me to connect. Thanks again. How will AA price a route like this: Beijing-Honolulu-Alaska? 1st segment on Hawaiian Airlines, 2nd on Alaska Airlines. One-way, only connecting through Honolulu for a couple of hours. Thanks. Beijing to HNL + HNL to Alaska. This is NOT the way it would have been priced a few months ago, but this customer unfriendly rule is now in place. Really informative post – thank you! How does mileage redemption work for a non-direct flight? I’m trying to use miles to get to RGN from DFW. Would this need to be two separate award tickets, DFW-HKG and HKG-RGN (on Dragonair, the Cathay Pacific affiliate)? Or can I get an award ticket DFW-RGN the whole way through? Looking at options for using my AA miles for flight from LAX to Bangkok – what would the best option be for me? Would love to find a way to do business/first as well. what are the best ways to get to Korea? I see availability for the transpacific flights to NRT, but I almost never can find any saver awards for NRT to ICN or vice versa. No love for JL11 from DFW-NRT? Hi Scott! Great info on CDG to BKK on Qatar using AA miles. How about BKK back to US, BA.com shows Qatar award seats but not sure if bookable using AA. Thanks! That would be charged as two awards. Very expensive. I apologize if this has already been covered but if using AA miles to go to Asia 2 via CX, is it possible to stopover in HKG (if so, for how long), before heading to Malaysia or other stops in the region? Please read the post on rules that is linked in this post. It has your answers. HKG is Asia 2, so laying over there is fine, but there are no stopovers on AA awards, so your layover is maximized to 24 hours. I am looking to book a flight from JKF or ORD to Hong Kong on Cathay in June. Currently there are only premium economy seats. Do they also open up business class 36 hours before departure that I could upgrade to? It looks like the flights have plenty of business class seats currently open. You can’t book Premium Economy with AA miles. They are very likely to open Business Class award space in the last few days or weeks. Scott: Do you ever run into doing a search on BA’s site (for example) you do a search from SFO-HKG and it shows 7 first class Cathay seats (via a connecting AA flight to LAX) but then do you do a search for LAX-HKG and only get 1 first class seat? There are only 6 First Class seats in Cathay First. I think the 7 was in the Business column or is phantom space. Four of us (two couples) are travelling to Japan this October. On a way back we all wanted to use our American Airline Miles to fly in Business class (Japan Airlines, Narita to Boston). We bought tickets last December before devaluation. The question I have is about the following: Japan Airlines released only two seats per day in Business class. So one couple will fly on October 29th, the other on October 30th. We would like to fly together on the 30th. Do you know if they may release more seats and if yes when and what is the best way to catch them? Any chance to get an answer to my question? Thank you. Hi Eugene, my apologies for the delay. Your best bet would be to wait until closer to the travel date and then start checking periodically, sometimes they release more premium cabin space 6 weeks out, but that is not a guarantee. You can set an award space alert on wandr.me for me free since Japan Airlines is apart of the oneworld Alliance. Thank you! I’ll start checking in early September. When using AA Miles to book Cathay Pacific, they don’t allow you to book Premium Economy even though it shows as available on the BA site. Any suggestions on this? You can’t book premium economy with most miles… the only miles I know of off top of my head that sometimes work to book Premium Economy are Alaska miles. I am kind of new to booking with AA miles (Only used Chase Portal and United Star alliance before). So you’re saying if I wanted to book a trip from EWR to BKK in August and ba.com does not show any Business Class available… I can just book a regular economy flight on Cathay via calling AA, then about a week before the flight, more Business becomes available I can call and pay the difference in miles? This is a great post and so very helpful. I am wondering if you (or anyone) can answer my question. I am hoping to use my AA miles for our upcoming honeymoon (ORD->HAN). According to the ba.com, there are award seats available on our preferred flights. However, when I speak with AA, they claim no availability. Do you know how to help the AA customer service find the rewards seats available (as indicated on ba.com)? I feel like I have hit a brick wall. My fiance and I have saved our miles for years for this exact trip and AA is making it very difficult to redeem our saved 300,000 miles. Any help would be welcomed!